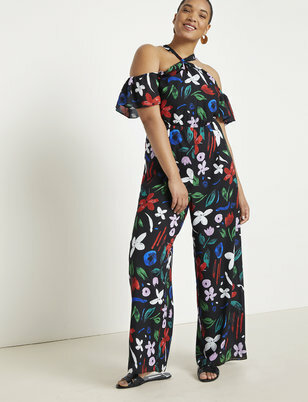 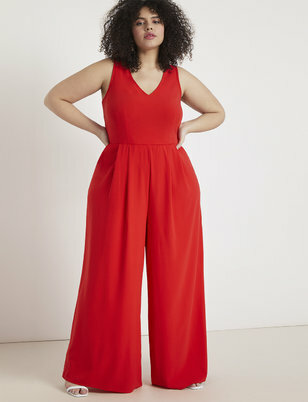 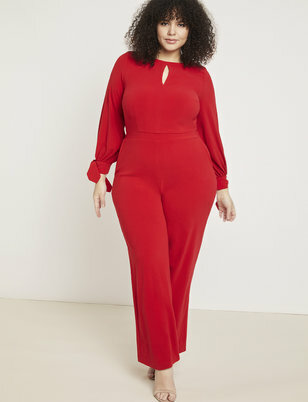 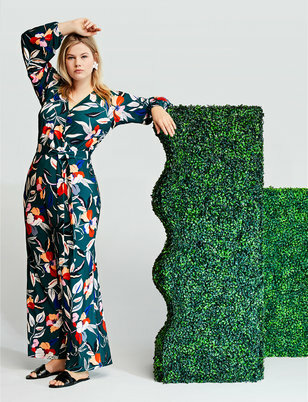 When you're tired of dresses but still want the ease of a one-piece outfit, jumpsuits are your new best friend. 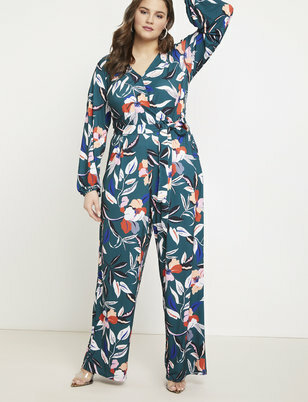 From lightweight rompers to elegant dressy jumpsuits, our trendy collection gives you the effortless look you've been searching for. 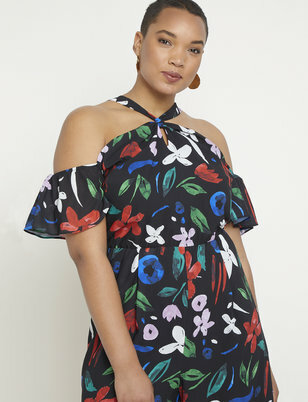 Throw an off-the-shoulder romper over your bathing suit on beach days, or pair with sandals for a Saturday afternoon stroll. 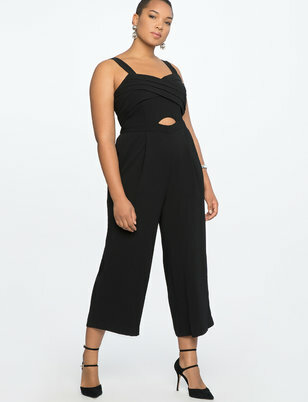 For special occasions, try a black jumpsuit with silver heels and statement earrings. 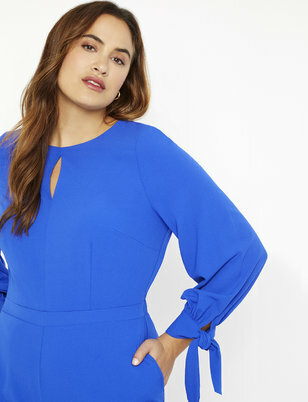 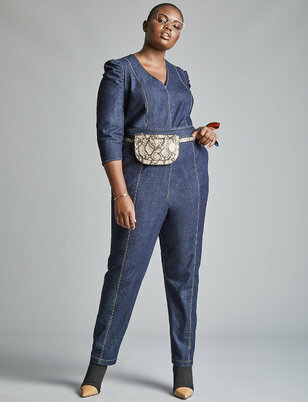 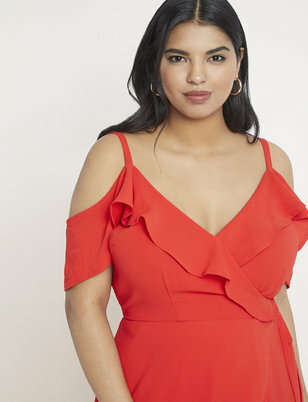 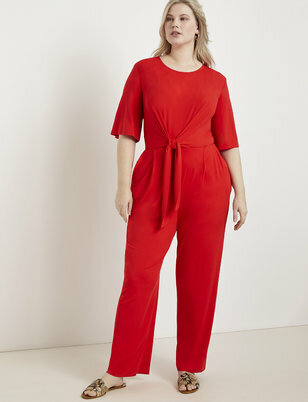 From chambray to eyelet, our plus size jumpsuits offer the perfect change-up to your dress collection. 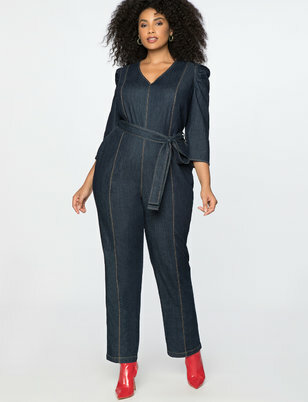 Concerned with fit? 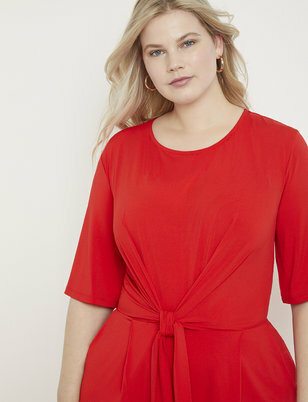 We offer options in the Viola Fit, our take on the so-called pear shape.